The great minds at Pasmac had developed an innovative product that would streamline the maintenance of conveyer belts used in manufacturing plants; a removable shaft system that will revolutionize the industry. They came to us in need of giving their product an identity, one that would be memorable and reflect the same innovation behind the PasMac. Together, we crafted a modern logo signature that would soon be the face of manufacturing innovation. How we would approach marketing this new product depended on the results of significant research into the manufacturing industry in the Pacific Northwest. Specifically, we focused on the food processing, timber and mining industries. What we found was a desperate need for a product like the PasMac. In these manufacturing plants, when a machine went down with a bad shaft, it could take several hours, even days or weeks to fix. The PasMac would significantly decrease downtime, meaning those machines are back up and running in no time. Throughout this whole process, we were working diligently and furiously to develop a website that would shine a light on PasMac’s innovation. The site needed to be visually stunning and multi-functional – serving as a virtual brochure, an industry resource, and a shopping cart. Shortly after launching the site, it was off to the races. 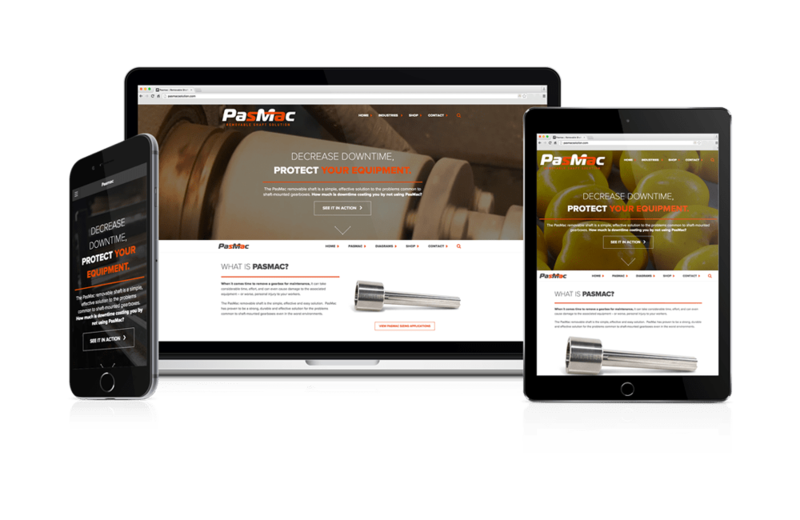 Part of the visual aesthetic we integrated into the home page of the site was the use of looping dynamic video of the PasMac in action. This allows users to see the product in use right when they land on the page (it also has made for quite an impressive first impression). 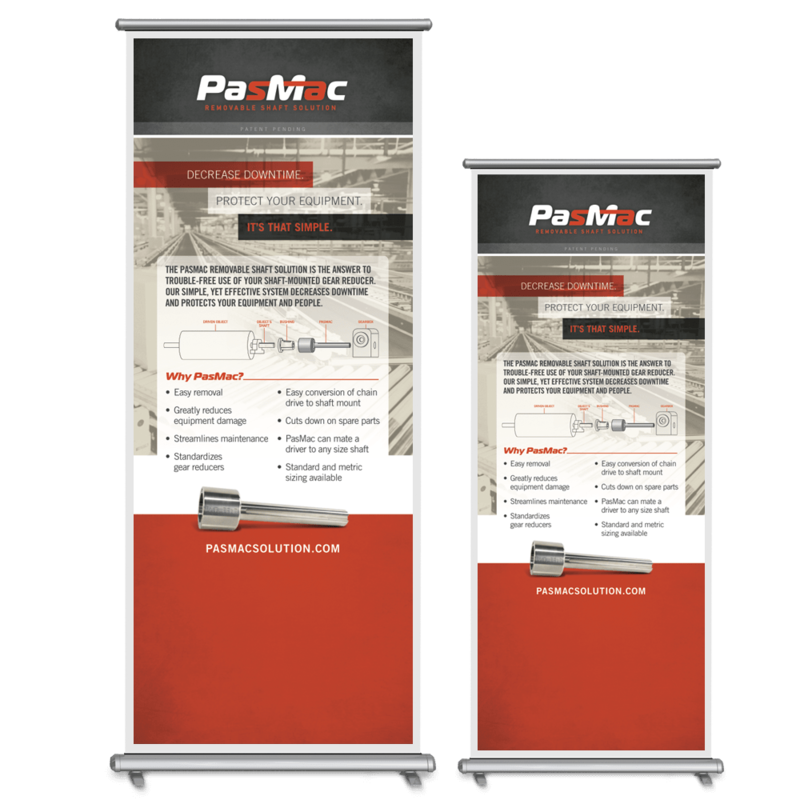 With a product as innovative as PasMac, we didn’t need to do much to “sell” it, only create the opportunity to. 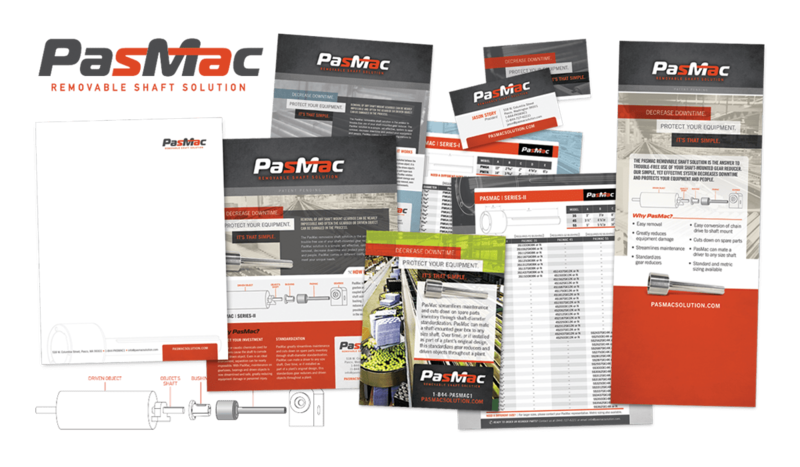 Using the comprehensive marketing plan we developed, coupled with the sales materials and established web presence, PasMac has seen a huge growth in brand awareness and sales are really starting to take off.